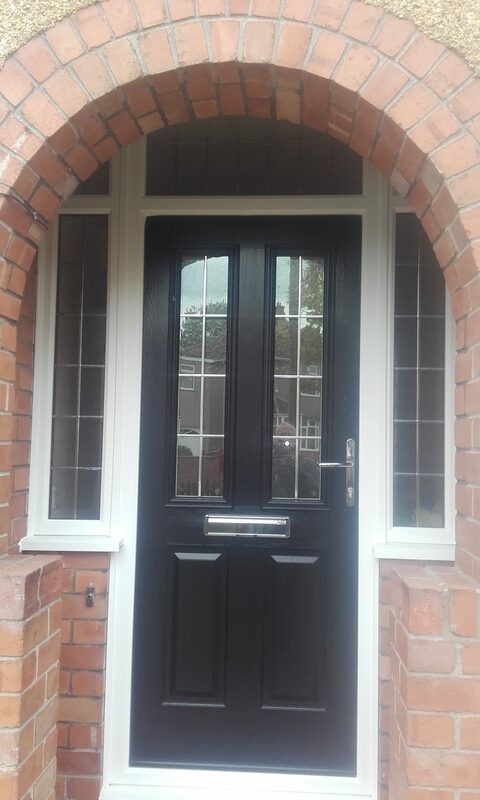 We recently installed this simple and stylish black Ludlow Solidor, with square lead design windows, from the traditional range. It’s perfectly suited to both rich colours such as red and traditional woodgrain effects.. The two glazed panels can help shape the visual appearance of the overall door, with glass options ranging from traditional diamond to more contemporary abstract. Why not get in touch with us today and see what we can do for you.